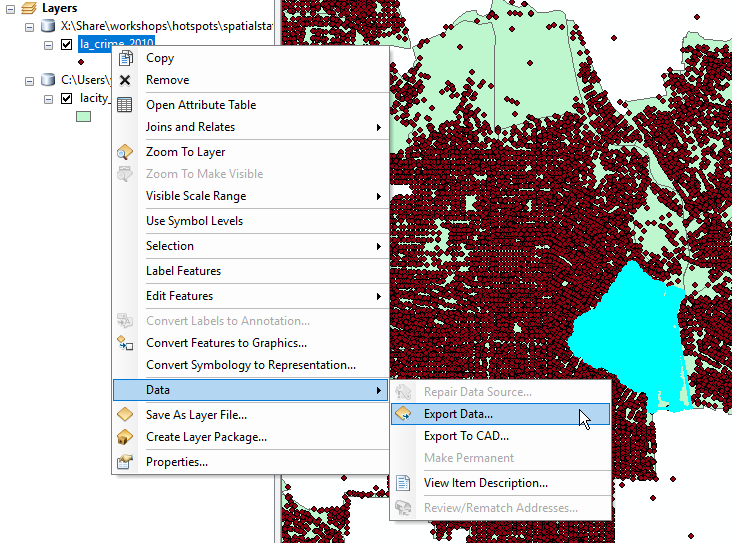 Hot spot analysis is a great tool that allows us to pinpoint the location of clustering and dispersion in our data. This is especially helpful when we are dealing with lots of data incidents, such as crime data over time, where many incidents overlap one another, making it difficult to visually determine exactly where the “hot” and “cold” spots are in our data. It is also useful for temporal analysis, helping us determine seasonal locational shifts in the data being examined. For the purposes of the workshop, the data has been cleaned up, divided into separate layers per year, and converted into a geodatabase. Download the following class data to your local drive. 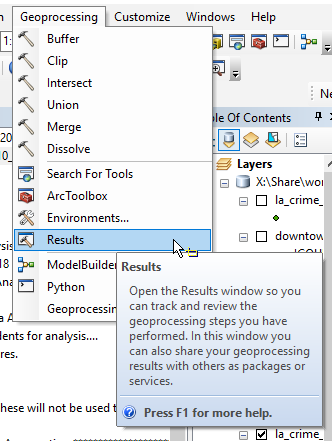 Geoprocessing should always be conducted with projected data. 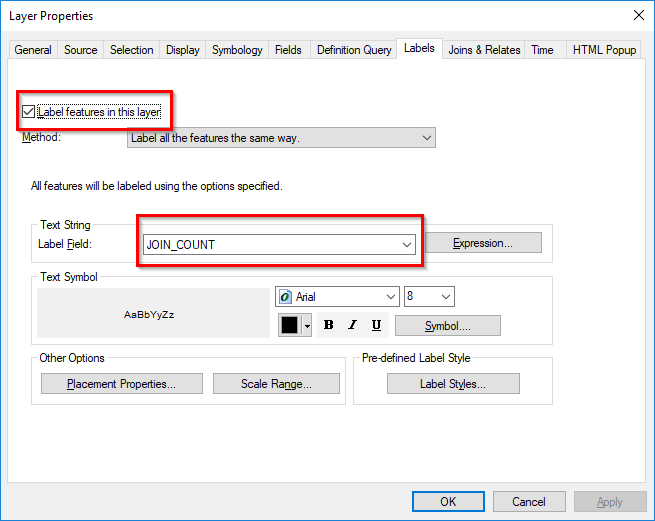 If your data is not projected, ie, it is in a geographic coordinate system (with coordinates in decimal degrees), make sure to project your data first. 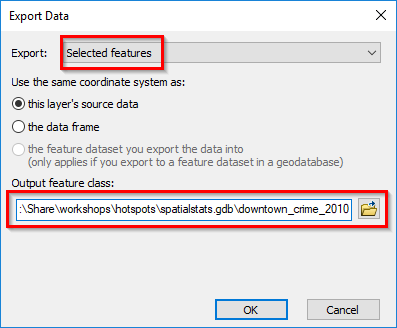 The data in this tutorial was originally downloaded from the LA Open Data Portal, with crime incidents recorded in decimal degrees (latitude and longitude degrees). This data was then projected to UTM N Zone 11 to conform to a preferred projection for data in Los Angeles. 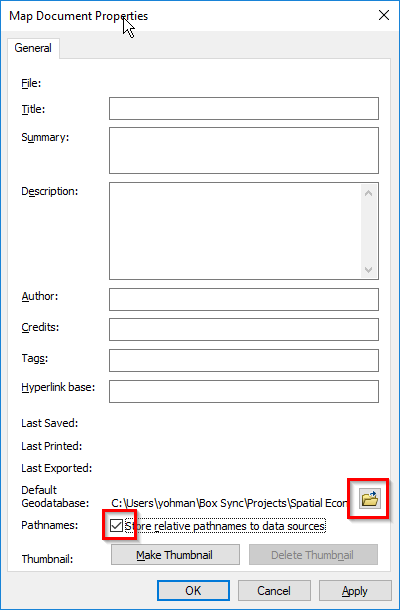 If you are using your own data, make sure to project it to the region your data belongs to. 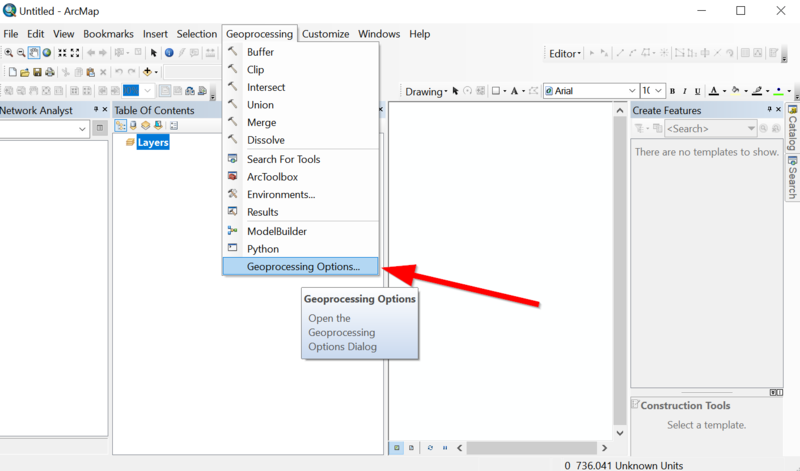 We will also be performing various geoprocessing tasks. 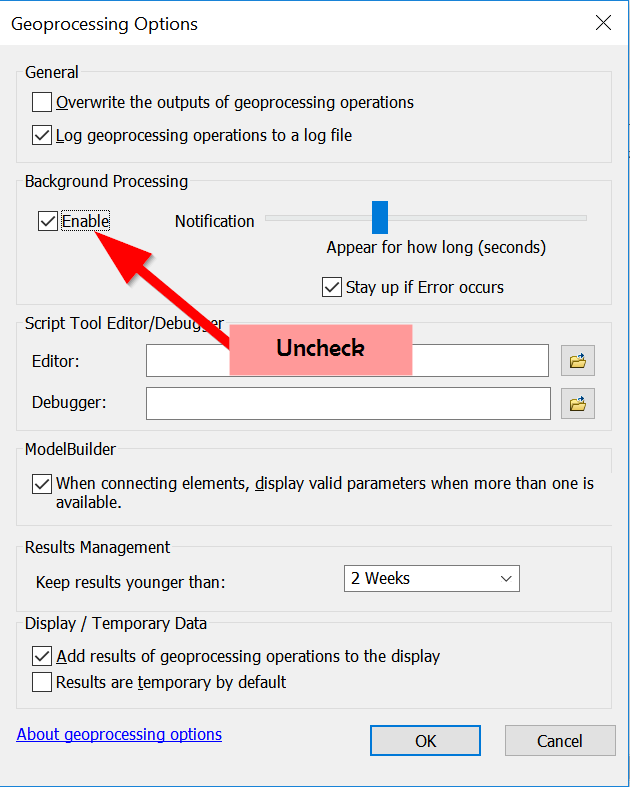 In order to make it easy for us to interpret our results in real time, let’s “disable” background processing of our geoprocessing tasks. In order to begin hot spot analysis, we must first determine whether, statistically speaking, there is clustering evident in our data. 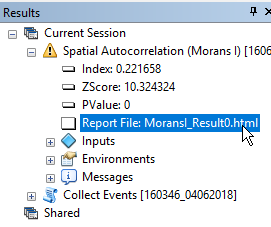 One approach to do so is to run our data through the Spatial Autocorrelation (Global Moran’s I). 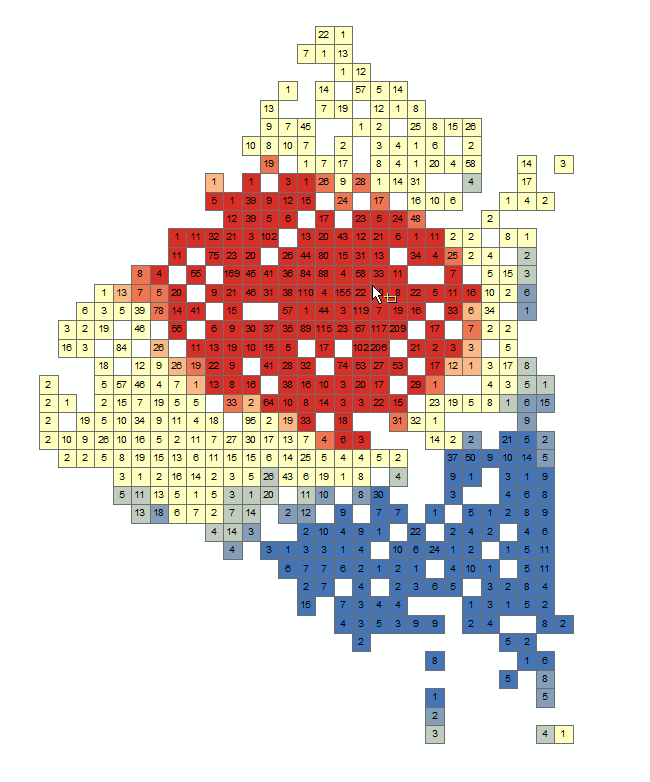 This tool helps us determine whether or not our data is randomly distributed or not. 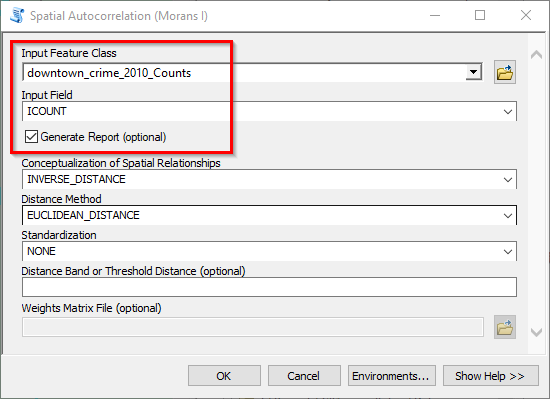 In other words, what are the chances that the incidents in your data are located where they are randomly? Or perhaps, are there certain incidents located closer to other incidents? 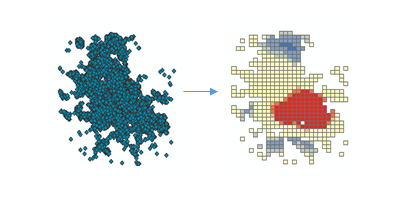 And what may explain this clustering? 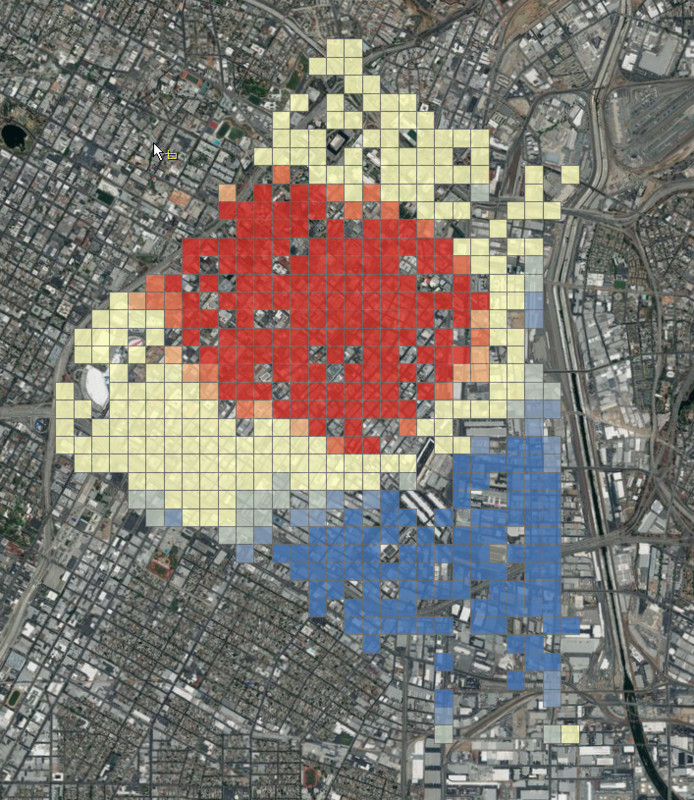 Let’s find out if the data we will use in this class (crime data in Los Angeles) has evidence of clustering or dispersion. Select all the crime incidents that occurred within the downtown boundaries. The LAPD records arrest locations to the closest intersection of where it occurred. What this means is that many incidents that happen close-by are visually stacked on top of one another, appearing as a single point. 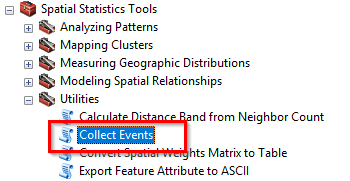 In order to provide an aggregate of overlapping points, let’s run the Collect Events tool. 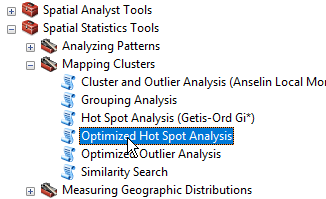 Now that we have determined that there is, indeed, statistically significant spatial clustering in our data, let’s find out where there are hot spots and cold spots in our data. 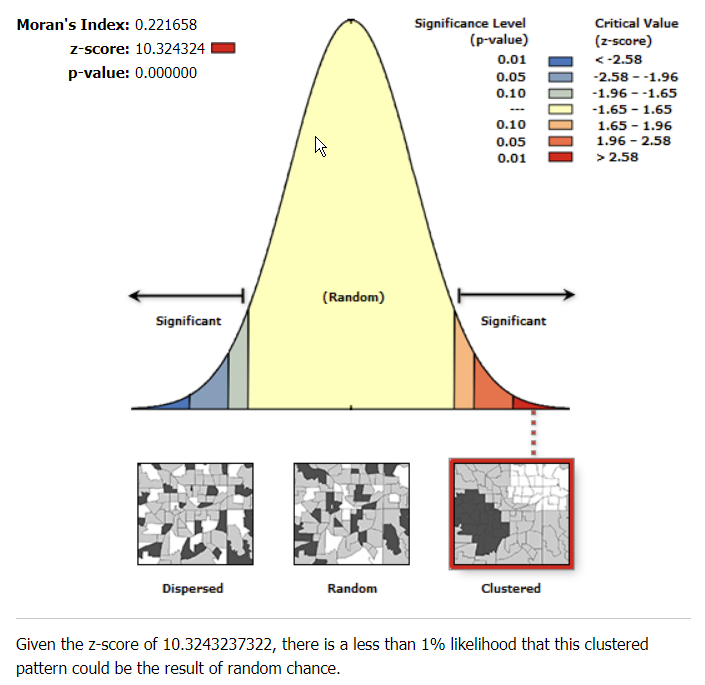 Hot spots are areas that show statistically higher tendencies to cluster spatially. This is determined by looking at each incident within the context of neighboring features. In other words, a single point with high values isn’t necessarily a hot spot. It becomes a hot spot only when its neighbors also have high values. 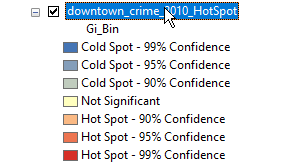 Let’s run the hot spot analysis tool on our downtown crime data. 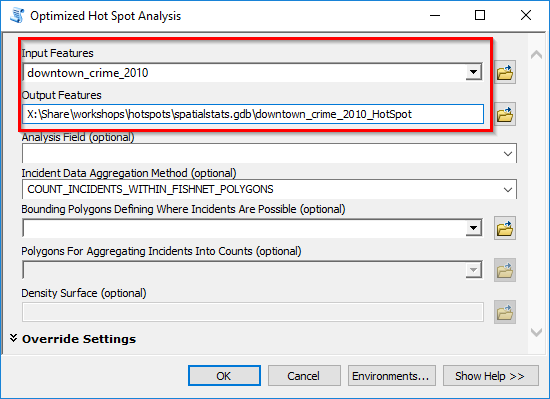 In your Spatial Statistics Tools, expand Mapping Clusters, and double click on Optimized Hot Spot Analysis. 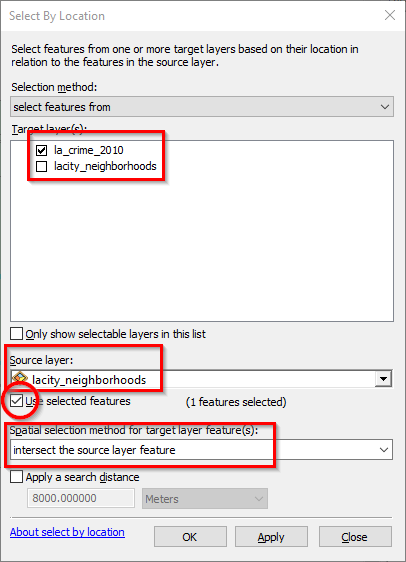 In the pop up window, select downtown_crime_2010, and make sure that COUNT_INCIDENTS_WITHIN_FISHNET_POLYGONS is selected. This will create a bunch of grid cells wherever there are incidents of crime present. Nice! We have now converted our overlapping incidents into color coded grid cells. Notice the legend for our results. The table represents each displayed cell. Finally, let’s label the grid cells with the JOIN_COUNT to give us an idea of why certain areas are hot, and others are cold. Right click on downtown_crime_2010_HotSpot, click on Properties, and click on the Labels tab.